If you’re a new driver or even an experienced one, it can be a stressful experience having to pull over for emergency vehicles. The sirens are blaring, the blue lights are flashing, and you may not be in an ideal position to stop. But as long as you remain calm, aware and focused when driving, it doesn’t have to be quite so stressful. As soon as you hear the sound of a police, fire or ambulance siren or you become aware of the flashing blue lights of an emergency vehicle, be prepared to stop. This will give you time to think about your planned stop and allow you to begin preparing to pull over safely. The sooner you begin to think about pulling over, the safer your stop will be. This thinking time will also allow you to identify a good place to stop. Slow down, but don’t emergency stop. Though it’s important to come to a complete stop as soon as you can, it’s equally important to keep yourself and your passengers safe, not to mention other drivers. And the slower you’re going, the easier it will be to identify a safe stopping area. Watch what other vehicles are doing. Often there won’t be an obvious place to stop, so be guided by other vehicles. For example, if everyone is going left, don’t swerve suddenly to the right. Follow their lead. 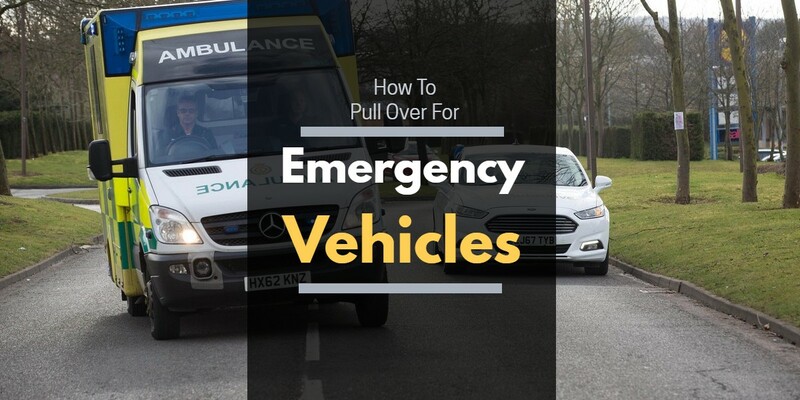 And remember, you only need to make sure the emergency vehicle has enough room to proceed – you just need to give them enough space to manoeuvre and proceed to their destination. This means you don’t have to find the perfect place to stop (which doesn’t always exist! ), just somewhere safe. And don’t pull over on the kerb – this could put pedestrians in danger. When you see flashing blue lights in your mirror, take a moment to anticipate the route they are going to take. It’s much better to slow down and judge the situation – if you slam on your brakes you could be endangering other drivers on the road for no reason. If you do need to stop because the emergency vehicles is heading your way, make sure you indicate to let your fellow drivers know that you intend to stop.